The NDSO Friends Group was organized to support and promote the growth of the Northern Dutchess Symphony Orchestra. This is a social and fundraising group of individuals who are passionate about supporting the arts in the Hudson Valley. 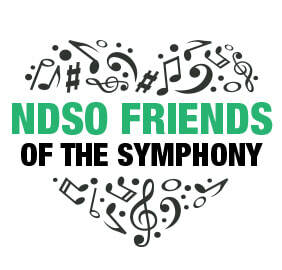 One of our most important roles is to be ambassadors for NDSO by encouraging others to attend concerts and other orchestra activities. If you love orchestral music, this is a wonderful way to show appreciation for the music we provide in your community. Beyond your membership dues as a Friend of the Northern Dutchess Symphony Orchestra, we encourage you to make a tax-deductible donation and/or to volunteer your time for Friends group and orchestra activities. Your support helps the Symphony continue to bring excellent performances of great music to the Hudson Valley. Early access to reserved seating and dinner reservations at our concerts at the Marriott Pavilion. Complimentary tickets to “bring a friend” to our concerts, based on tickets purchased for the current concert season. Purchase an adult or senior 3-Pack and receive 1 complimentary ticket. Purchase an adult or senior 10-Pack and receive 4 complimentary tickets. Invitations and reduced prices for special events throughout the concert season, including an announcement party for the upcoming new season. Opportunities to volunteer at concerts as ushers / information desk personnel. Social events for Friends to meet guest artists and cultivate new relationships with community leaders. Working in close partnership with the NDSO Board of Directors, the Friends Group will help us to bring the excitement of our concerts and social events to the entire Hudson Valley Community. Charter Member Dues – Only $25! Membership is good through June 30th of the concert season. Register online or download the form below. For more information, contact the Orchestra or call us at 845-635-0877.